Whether pressed for time in the morning or just hoping to have the freshest breath possible for an important meeting or exciting first date, many of us have reached for a bottle of mouthwash when brushing or flossing weren’t an option. While using mouthwash offers a quick and convenient solution for dealing with bad breath, a new study suggests that frequently using mouthwash instead of brushing could leave a bad taste in your mouth. 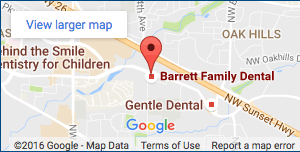 As your choice for family dentistry in Beaverton, we want to make sure you have the most up to date information possible. According to researchers, using mouthwash more than three times a day – when coupled with poor oral health and infrequent dental visits – could increase an individual’s risk of oral cancer. The results of this study were published in the journal Oral Oncology. Until now, researchers were unclear whether risk factors for dental disease were independent of known risk factors for oral cancers, such as socioeconomic status, alcohol and smoking. Previous research had clearly established that heavy alcohol consumption and smoking – especially when combined – were strongly linked to the development of oral cancer, defined in the study as any type of cancer of the throat or mouth. Additionally, low socioeconomic status has also been linked as a contributing factor in the development of oral cancer. To delve deeper into whether dental care, oral health and mouthwash use were associated with oral cancer, researchers at the University of Glasgow Dental School conducted a study to determine whether risk factors for dental disease could increase an individual’s risk of cancer independent of commonly known risk factors. To conduct their study, researchers assembled nearly 2,000 patients who suffered from some form of oral cancer, and an additional 2,000 participants to use as a control group in their examination. The study was carried out in 13 health centers in nine countries located across Europe. Researchers started by trying to determine if new risk factors could be involved in the development of oral cancer. After accounting into account known risk factors like socioeconomic status, alcohol consumption and smoking, researchers were still able to identify a link between poor oral health and an increased risk of oral cancer. In this study, participants were defined as having poor oral health if they suffered from persistent bleeding gums or had partial or complete dentures. Researchers defined individuals as practicing poor dental care if they never or infrequently brushed or if they never or infrequently visited a dentist. In addition to determining that poor dental health and dental care increased an individual’s risk of oral cancer, researchers also discovered that participants who excessively used mouthwash also had a higher incidence rate of oral cancer. These finding helps to support an earlier study which found that the alcohol content in mouthwashes allows carcinogens to penetrate into mouth tissue, which increases the risk of oral cancer. Based on the findings of these two studies, researchers believe enough evidence exists for healthcare professionals to recommend against the use of alcohol-based mouthwashes. While researchers have started calling against the use of alcohol-based mouthwash, several limitations involved with the study could lead to further study before any official announcements regarding the safety of mouthwash are made. Participants in the study could have used mouthwash as a means of masking bad breath caused by smoking and alcohol consumption. 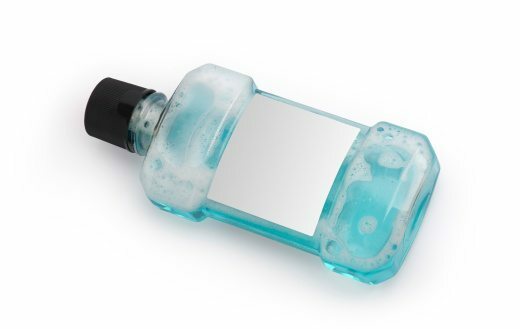 Researchers admitted being unable to determine specifically which type of mouthwash study participants were using in years prior to the study, and that more data is needed to before any final conclusions can be drawn. So while casual use of mouthwash is still probably safe for now, people should focus on practicing quality oral hygiene – brushing at least twice a day and flossing daily – rather than on using mouthwash to prevent and treat bad breath.